This post may contain affiliate links. When you click on these links, I may earn money or products from the companies mentioned in this post. This does NOT change the cost for you. Thank you for supporting me by purchasing from my links. Over the past few months, I have been decluttering. Now that I am no longer a LuLaRoe retailer, I no longer need a lot of the clothing that I wore in the past. I don’t necessarily have need for all the accessories that I had. Nor do I need some of the more brightly colored shoes that I purchased to go with outfits for photo shoots. Since May, I have made more than a thousand dollars, just putting items up and waiting for someone else to buy them. 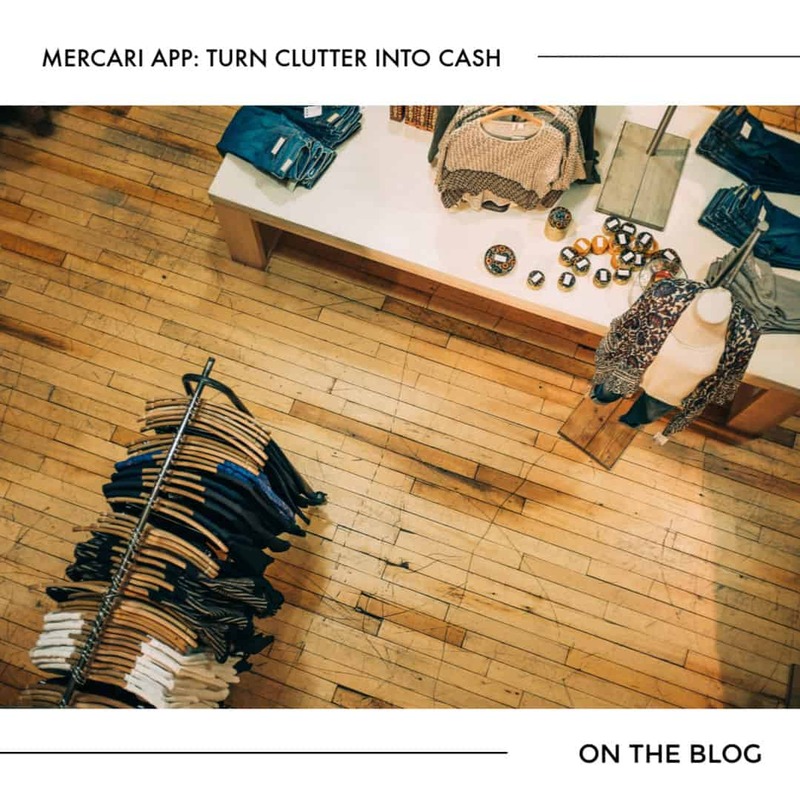 The Mercari app is a great way to turn clutter into cash. List the condition of the item – make sure that this is accurate! Describe the item – make sure that if there are any flaws, you account for them. For example, I got nail polish remover on my Apple Magic Mouse (is anyone surprised?). If I was to list it, I MUST disclose that information! Give your shipping information – you can either ship on your own, using a service like Paypal shipping, or anything, OR Mercari will send you a pre-paid label. I prefer to ship on my own, as I personally own a scale and a label printer, BUT you may want to opt for the convenience of the pre-paid label. Hit “list” and wait for your item to sell! Here’s how to get cash with the Mercari App. Once you’ve created an account, you can list your items for sale. There is NO COST to post items (you pay 10% of the final SALE value – ie, if I sell a dress for $40, I will receive $36 from Mercari), and there are no limits on how many items you can have posted (that I have found!). Once someone purchases an item, you have 3 days to ship it. Protip: responding quickly and shipping quickly gets you “badges” on your profile, and some buyers make purchasing decisions based off these badges: quick shipper (ships within 24 hours, NOT counting weekends or holidays), fast responder (responds to messages within an average of 12 hours), and reliable (doesn’t cancel orders, high ratings from buyers). Here’s where it gets fun: the BUYER gets to rate the seller within 3 days of receipt (per tracking confirmation of delivery). The buyer’s rating (using a system of stars, 1 star = poor; 5 stars = excellent) releases the funds, and voila! You get paid. If a buyer does not rate the seller within those 72 hours, then Mercari will close the transaction and issue you the funds. Balances above $10 transfer to your bank account for FREE and typically are deposited within 3-5 business days. You can also use the funds as credit for purchases YOU make on the app. Are others selling the same items? If so, what kind of prices do they have? Are similar items actually selling, or are they just sitting? Are there a lot of “new” items like what you are looking to list? If there are a lot of new ones, it could be harder to sell a used item. Free shipping is super attractive for shoppers, so I price my items accordingly to “include” the shipping cost. It’s ALL about the psychology of someone thinking that they are getting something for free. I ALWAYS price higher than the final total I hope to get – if I want $20 for an item, I will list it for $30, expecting to lower the price to $25 to cover the shipping costs and get the $20 I want. Use ALL your photo options – with 8 photos, you can show all kinds of angles and information. Make sure to be incredibly accurate with your descriptions so that no buyer can claim the listing was innaccurate. What is your experience with decluttering? Have you ever tried the Mercari App to sell items?